Albertini Manufacturing & Supply Inc.
We can remanufacture all open & semi-hermetic compressors. We specialize in overhauling HVAC equipment and providing equipment redesigns/retrofits for the transportation industry throughout the United States. Our technicians are extensively trained in overhauling, testing and inspecting HVAC equipment for all transit applications. 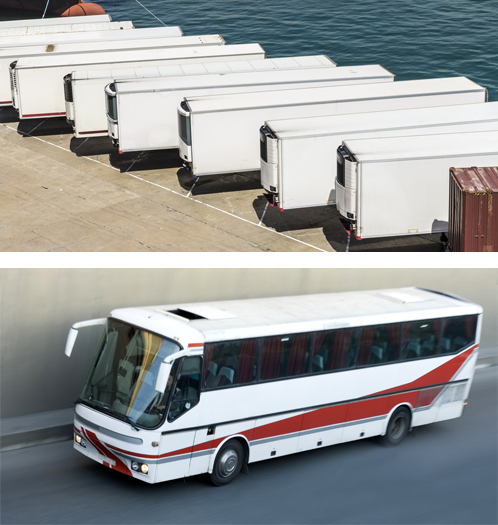 Our extensive 40 years of experience in the transportation industry guarantees superior quality workmanship and superior customer service along with dependable on-time delivery, which is our foremost commitment. Our extensive experience in the industry will guarantee quality workmanship and superior customer service along with dependable on-time delivery, which is our foremost commitment. We are dedicated to supplying a high quality product at cost-effective pricing. To ensure this quality we comply with the ISO 9001 quality assurance program. This allows us to meet, and in most cases exceed, the Original Equipment Manufacturer's warranty. Our emphasis on prompt delivery is backed by our large inventory of HVAC compressors and HVAC compressor replacement parts. We can accommodate your most demanding, and sometimes critical, delivery schedules with the highest quality product, produced with minimum amount of downtime. Proudly Serving: Lansford, Tamaqua, Lehighton, Hazleton, Jim Thorpe, Pottsville, Hometown, Summit Hill, and Surrounding Areas.